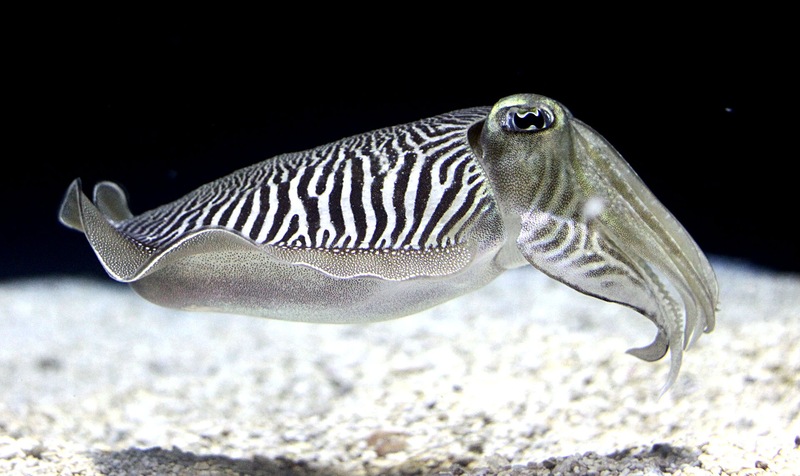 I love cuttlefish. They�re intelligent, curious and can change color at a moment�s notice. This is a beautiful, near perfect specimen from the Ripley�s Aquarium in Tennessee. They have this beautiful zebra pattern when they�re relaxed and comfortable but turn a dark dirt brown as soon as they become stressed. I caught this one at a good moment. Aquarium photography has its own challenges. Thick glass walls diffuse light in unpredictable ways. The angle with which you point your camera can make or break the photos and just five degrees can ruin everything.�I’ve�destroyed an entire aquarium trip�s worth of photos by not understanding how light works in these conditions. This is my fifth or so visit to an aquarium where�I’ve�cared to take photos and the first time I�m pretty satisfied with the results. WOW!!!! Sunira, that picture is pretty and clear! Can you share how you took it? What settings for your camera and what angle worked for you? I also held the lens at the surface of the glass, perpendicular to the line made by the length of the fish from tip to tip.